Thanks to all those who came to the pie night yesterday and all those who volunteered for the roles below. UPDATE::THE PIES ARE VERY YUMMY!!! This is an IMPORTANT MEETING PLEASE ATTEND!!! We will be discussing the new committee for next year. Obviously the more people there the better the AGM will be. If you are interested in standing for a place in the committee please message Alex or me before hand with what you hope to run for. Here is a list of the Committee role which we need to confirm for next year. Positions marked with a * are position ONLY available to people who will be students of the UoR for the following year however all other positions are available to all club members. Responsible for organising trips by co-ordinating all the other committee members. Chasing up people and making sure other committee members’ jobs get done! Organising freshers fair, finding drivers for trips, shopping for the trips, attending SRT training sessions, helping with the kit cleaning, helping with the budget request, attending union meetings and delegating out jobs that you can’t do yourself. Responsible for booking the huts and sorting out keys filling out risk assessments for all the trips, writing minutes for committee meetings, chasing up issues with union, booking minibuses, attend union meetings and picking up the pieces when the president messes up! Money Money Money! Collecting membership/sportsfed, collecting trip fees at the pub and before each trip, paying the hut fees, keeping a track of all money that goes in and out of the club, writing the budget request, budgeting for the year, seeking external sponsorship, apply for Alumni fund grant. Taking responsibility for all of the kit the club owns by renewing kit when necessary, keeping an inventory of what we own, making sure our kit is in a usable condition, organising kit cleaning, CHARGING THE BATTERIES, remembering the tackle hut keys for when the president forgets them! This coming year we may be moving from the tackle hut (BooHoo) so this may be something the tackle master will have to follow up and organise. Find out what caves people would like to try and obtain permits/leaders for them! PARTIES!!! Organising socials throughout the year which cater to both students in Reading and members who live further away. Making a conscious effort to make everyone feel welcome and being a friendly point of contact especially for newbies who are a little shy to speak to the executive committee. Leading or organising SRT training throughout the year and making sure that the training given is consistent. Upkeep / updating of the website, posting up our photos / trip reports. I’m pretty sure they do other things as well but I have no understanding of this – best to speak to Patrick! Possibly the most important job in the club. Supplying us with cake on our trips so that when we get hungry we have something to munch on. You can be as creative as you like, we’re not fussy! 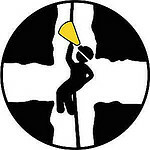 For our first freshers weekend we are heading to the “South Wales Caving Club”, based in Penwyllt, near Abercraf, fifteen miles up the valley from Swansea. South Wales is one of the finest caving regions in the UK and again has a vast range of cave systems ideal for beginners or those of you looking for a challenge. Are you interested in trying caving and want to find out more? We will be at the sports fayre, 11am to 5pm on the 25th September. Alternately you can ether come to one of our 2 presentations on the 25th September, at 6pm, location TBA. If you can’t make then you can come on the 30th September, at 7pm, location TBA. The prises for the weekend trips include transport, accommodation and food (complete with full English breakfast). For more information look on our Facebook page.